Home > E-Commerce Valuation: How Much is my E-Commerce Business Worth? E-Commerce Valuation: How Much is my E-Commerce Business Worth? This article is part of our Valuation by Business Model series, in which we provide you with information on what makes your particular business model unique when it comes to valuation. 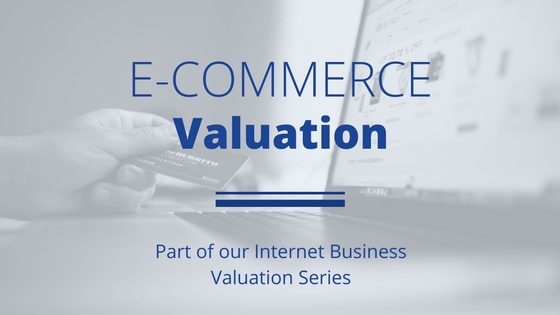 For more in-depth reading on valuation, see our post How to Value a Website or Internet Business. To get a valuation from our expert team, click here. E-commerce is often the first business model that comes to mind when people think about monetized websites. That’s because the concept is simple, and it’s a process we’ve all been through: visit a website, see some great products, buy said products. This makes e-commerce websites an attractive asset for buyers, because it’s a familiar and approachable business model. However, that doesn’t make it easy to put a dollar value on them. A streamlined fulfillment process is essential in crystalizing the value of an e-commerce business. One of the main assets in e-commerce is the ability to fulfill the correct products to the paying customer on time. However, many platforms that have historically acted as storage facilities for e-commerce stores (like Fulfillment by Amazon) have started to penalize those that are not able to turn over stock in under 90 days as there is a very large carrying cost of acting as an on-demand storage facility for budding e-commerce store owners. If an owner happens to have a warehouse and handles fulfillment internally but has successfully removed themselves from the operation, fulfillment has a neutral effect on valuation. There are aspects to in-house fulfillment (e.g. ability to add personal touches to packages, more control and insight into the process) that could benefit a business. 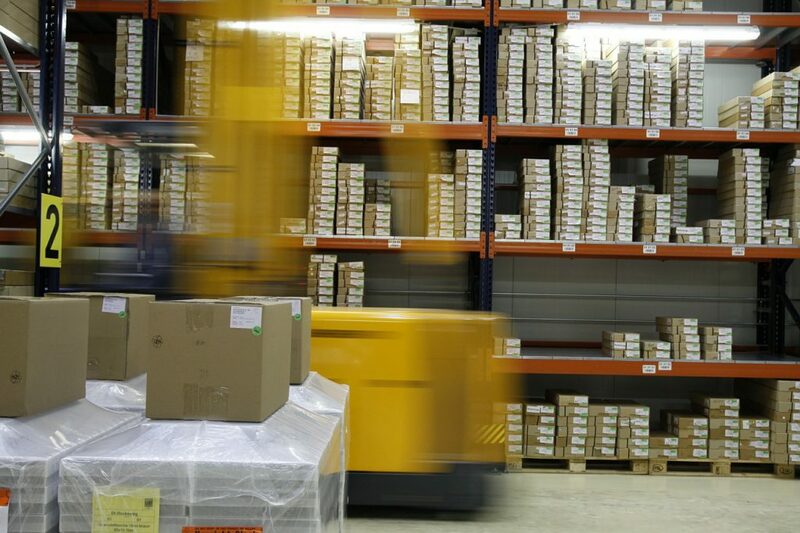 However, even if operations are hired out, owning or renting warehouse space and managing the process is likely to be more time consuming than using a third-party service. Given the choice between using a third-party service and running your own fulfillment, you should choose a service. This makes the business much easier to transition to a buyer and often reduces your time involvement and can often improve shipping times/reduce costs. Having a product line that stands out among a sea of items for sale online is key and continues to yield higher valuations than those that do not. However, if inventory mainly consists of rare or curated items, this can limit ability of the business to scale and may impair the ability to seek a premium valuation. Does the product require expertise to obtain? How likely is it that the current supplier will go out of business, stop selling a core product or compete? What are the associated supplier switching costs? Further, e-commerce stores with multiple suppliers are valued higher than those with a single point of reliance. If you answered yes to the first question and negatively to the second two, your product source is likely a problem that will have a negative effect on valuation. If you’re not sure, you may want to talk to your supplier about their history and goals for the future to gauge how reliable they’ll be in two to three years’ time. Whenever possible, you should have a contract with your supplier to ensure that you’ll receive your products for a specified length of time. It’s even more beneficial if you can get exclusivity on your core products to limit competition. As discussed above, you don’t necessarily want a product that’s hard to find. However, a unique product – maybe one you’ve developed yourself – can be a big driver in value, particularly if you have patents or protections on it. While a somewhat intangible value driver, a high-quality product that’s shown to have lasting popularity can make for a very attractive acquisition. The strength of the e-commerce store’s brand and its reputation play a significant role in the valuation process, as customer loyalty is harder than ever to foster. This is particularly true in saturated niches, such as fitness and electronics. A strong brand can lead to repeat sales, which can even be achieved off-platform which can see higher margins. The age and strength of the brand is a key differentiator and valuator for an e-commerce business. 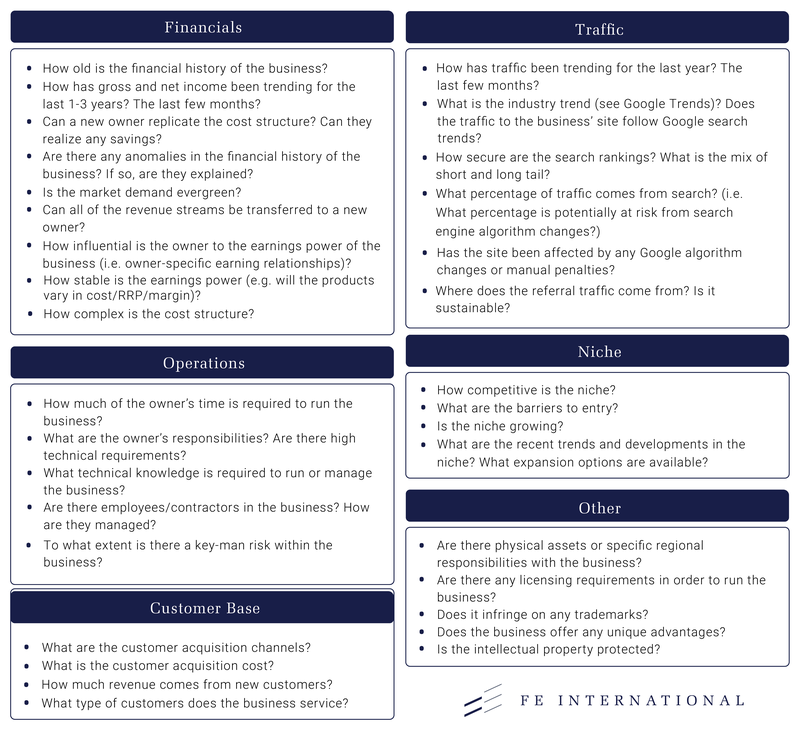 This can be assessed through traffic and financial fundamentals, but online reputation and customer feedback can also play a role in the valuation process. As the major platforms have successfully worked to remove fake reviews and testimonials, these elements are now a real measure of consumer sentiment and thus of greater significance to investors, who are looking at how to expand customer lifetime revenues in multiple ways, not just through more of the same in existing channels. A strong brand gives investors the ability to build from a solid base and this is attracting higher valuations. Stockpiling inventory has its benefits, but only if your products are difficult to find and your storage capacity isn’t limited. Otherwise, extra inventory can be a costly lump sum that gets added onto a sale price – without giving the seller extra profit. For example, if you’re running a business that makes $2,000 per month and you have an extra $50,000 in inventory stored away, that could easily double the sale price of your business. A high asking price makes the business less attractive, maybe even infeasible, to buyers looking for a $2,000 per month acquisition. In the end this could mean that you’ll need to accept a lower multiple if you want the business to sell. An experienced buyer will know that e-commerce businesses tend to have lower profit margin when compared to content websites or SaaS operations, but gross (and net) margins still need to be wide enough for a buyer to feel comfortable taking over. Low-profit margins are a sign that a business may be competing on price alone, rather than brand uniqueness or perceived value. So while it’s still possible to make money with this type of e-commerce, you’re up against multi-billion dollar online retailers that have the economy of scale advantage. You’ll want an analytics profile that shows steady traffic coming from a diverse set of keywords, and a backlink profile that suggests a high-authority site. The image below shows a website that gets a steady amount of traffic. On the other hand, you want to try and avoid an analytics profile that is inconsistent and doesn’t provide steady traffic day in and day out. The image below is an example of a bad analytics profile. When looking at both paid and organic, your conversion rate and average order value are both important metrics. For paid, they determine how much you can afford to pay per visitor. For organic, these metrics give you a more general idea of how much you could spend on future advertising and marketing, while still maintaining a profit. Mobile optimization can also be a factor, as buyers will be looking for sites that are future-proofed. The future of e-commerce is mobile device use – smartphones and tablets. Good navigation, ease of use, and optimized checkout processes are key to capturing mobile customers, and buyers will be assessing this aspect of your business. As more stores are migrating off-platform paid advertising is becoming more prevalent in the rise (and sometimes fall) of e-commerce businesses. Many stores are competing in saturated niches, with widely available products and ultimately the only area of real competition ends up being in paid advertising, which will always be a race to the bottom. Developing a technical reliance on paid advertising can also make stores very hard to take over as investors may not have the skillsets or team in place to carry on running successful (but niche and difficult to maintain) advertising campaigns without a significant change in cost structures. As such, paid advertising is here to stay, but value is being attributed to those stores that use it as one of many channels to acquire customers. This again leads to product uniqueness, branding and customer service as methods of increasing customer retention and lifetime values, which in turn leads to higher margins and more available funds to reinvest into sustainable growth. For this reason, stores with shorter trading histories are often valued far lower than those without, even if they manage to achieve good levels of scale within a tight timeframe. At FE International it is rare to value e-commerce businesses with less than 18-24 months history because of this. Much of the exit planning work starts at the 12-18 month mark with the view to an exit after 24-36 months (or longer). There has been a significant movement to multi-channel advertising, again demonstrated by Adobe in their acquisition of Marketo for $4.75 billion in 2018. This, coupled with the acquisition of Magento tells investors everything they need to know about the future of e-commerce, which is consumer focused. Stores that fall in line with that vision today will stand the test of time and will ultimately be rewarded in terms of higher valuation multiples. This is a major point of evaluation with an e-commerce business. If 80% of a store’s revenue is generated from one product, that means the value could be almost completely wiped out if that product becomes unavailable, loses its appeal or is heavily competed against (for example, look at the luxury mattress industry from 2016/17 with low competition to 2018 with extremely high competition). At the same time, stores with a wide range of products each accounting for a small percentage of income can cause inventory management to become more complicated and a store may therefore see higher carrying costs than average. This means there is more room for error in both stocking supply and fulfilling orders, and, in turn, more owner involvement required to keep customer satisfaction high. Businesses that can show a balance of these factors will ultimately be rewarded, though this is an area of constant improvement that needs iterative analysis and optimization to ensure an equilibirum between product/SKU diversity and customer satisfaction is achieved. There are a number of factors that drive the value of an e-commerce site, and it’s always best to look at the holistic view. Operations, product and source concentration, traffic and branding all play a role. However, only an experienced advisor can give you an accurate valuation, so get in touch with us today to talk to one of our valuation experts.